I graduated from Brigham Young University in 1983 with a Bachelor of Science degree and my law degree (Juris Doctor; J.D.) from Pepperdine University School of Law in 1986. Since 1986 I have practiced in many of the areas outlined in the firm profile at both national and small firms. I founded this firm in 1994. Many of the practice areas outlined in the firm profile overlap and I have gained experience in some areas of the law because of the unusual fact patterns of particular cases. Most of the practice areas are complimentary. I have learned that many cases require a knowledge of more than one practice area to be properly defended. I am a cycling enthusiast and have covered most of the US (and about 15 foreign countries) on a bicycle as well as followed the routes of the Tour de France (1991, 2000, 2001, 2003, 2006), Giro d'Italia (1992, 1999, 2002), Tour de Suisse (1993 and 2004) and Tour Du Pont (1994, 1995) by bicycle. Some of my bike trips can be seen here. I complete all of my own repairs and maintain all my own bicycles. I am a former licensed USCF bicycle racer, have finished over 200 sanctioned road, mountain and biathlon race events and ridden over 150,000 miles since 1986. I attend most of the major industry trade shows such as Interbike, Eurobike and the Taipei International Cycle Show, as well as keep current with industry and consumer publications covering cycling. 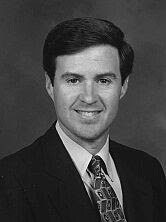 Member, California State Bar, 1986 to Present. Admitted, United States District Court for the Southern and Central Districts, 1987 to present. Member, Defense Research Institute (DRI), Product Liability Committee and Manufacturer's Risk Prevention Specialized Litigation Group, 1998-1999. Founding Legal Advisor to the California Electric Bicycle Association (CalEBA), an association advocating for equal treatment for electric bicycle riders on off-road paths. Secretary, The American Society for Testing and Materials (ASTM) F08.10 Subcommittee on Bicycles (within the F08 Committee on Sports Equipment and Facilities) 1996 to 2004; member 1996 to present. Secretary, The American Society for Testing and Materials (ASTM) F08.96 Subcommittee comprising the U.S. Technical Advisory Group (TAG) to ISO TC (Technical Committee) 149/SC1 on Cycles 1996 to 2004; member 1996 to present. Legal Advisor to the BSE Board (Bicycle Standards of Excellence), which tests bicycle retail employees for assembly competence, 1999-2001. Approved Panel Counsel, Independent Cities Risk Management Authority (ICRMA), 1994 to present. Member, United States Cycling Federation (now USA Cycling), Category 4 road racing; 1997 to 2003. President, Paramount Racing, United States Cycling Federation Club license #274, Orange County California; a 75 member race team part of a 400 member recreational club; 1998 through 2001. Member, League of American Bicyclists, Legal Network, 2006 to current. Member, San Gabriel River Master Plan Stakeholder Committee, Los Angeles County Dept. of Public Works, personally responsible for over $1 million dollars of completed and planned bike path improvements along the San Gabriel River Bicycle Path, 2002 to current. Invitee, "Indy Dealer Expo Show" Largest Motorcycle Trade Show in the USA, Indianapolis, IN, February 2006. Attendee, European Union type-approval legislation for electric bikes (e-bikes), scooters, mopeds and motorcycles; organizational meeting, sponsored by Light Electric Vehicle Association (LEVA) and European Twowheel Retailers' Association (ETRA), held at Eurobike, Sept. 5, 2009 and Interbike Sept. 25, 2009. Columnist, "A Legal Viewpoint", Bicycle Retailer and Industry News, 1994 to 2003; 2013 to current. Selected older articles and more recent articles. Editor, Product Liability Defense Newsletter, a topical newsletter distributed electronically to over 2000 product manufacturers, distributors and retailers, 1997 to present. Editor, Insurance Industry Newsletter, a topical newsletter distributed electronically to over 300 insurance brokers, insurance underwriters, claims adjusters and in house counsel, 1999 to present. Article, "Business Basics: Limiting Suspension Liability", Off-Road Retailer Magazine, March/April 2005. Article, "The Law and Bike Rentals: What you can do to help protect yourself from legal liability", Outspokin', official publication of the National Bicycle Dealers Association (NBDA), June 1995. Article, "Legal Analysis: Trademark issues proliferate in the Internet Age" Light Electric Vehicle Assoc. (LEVA) Newsletter (The trade association for the worldwide light electric vehicle industry) December 2013. Contributing Author, “Electric Bikes Worldwide Reports” appearing in the 7th, 8th and 9th (2009) editions; published by Electric Bikes Worldwide Report by Frank E. Jamerson PhD. Article, "Covering Your Assets", Mountain Bike Magazine, October 1996 page 124-125 and December 1996 page 132-133. Quoted, "Risky Business: Liability Is Serious Threat To Mountain Bike Parks", Bicycle Retailer and Industry News, August 1, 2006. DOT/NHTSA Recall Management Portal training, US Department of Transportation / National Highway Traffic Safety Administration, July 2014; dealt with issues regarding the 2014-15 on line only recall submissions process.